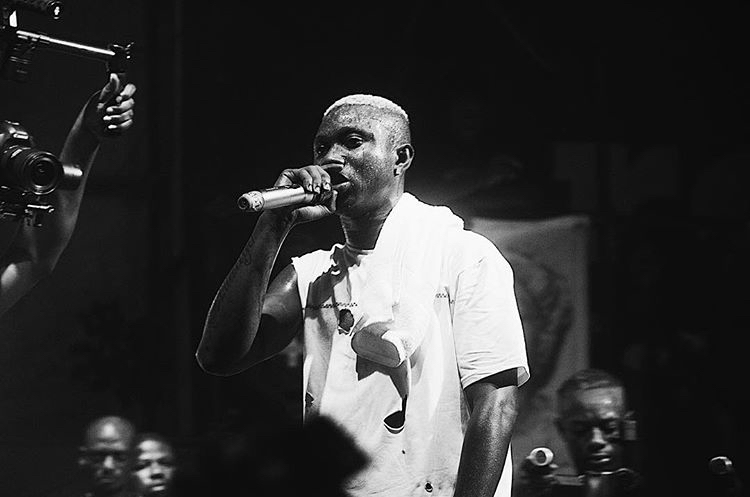 Zlatan Ibile initiated a challenge on Instagram using a picture of him and then asking fans to relate the picture with one of his songs. The purpose of the challenge was to determine whose comment (from fans) was gonna make him smile. Well,his emotions got struck after an upcoming artiste wrote him a line from his old songs. 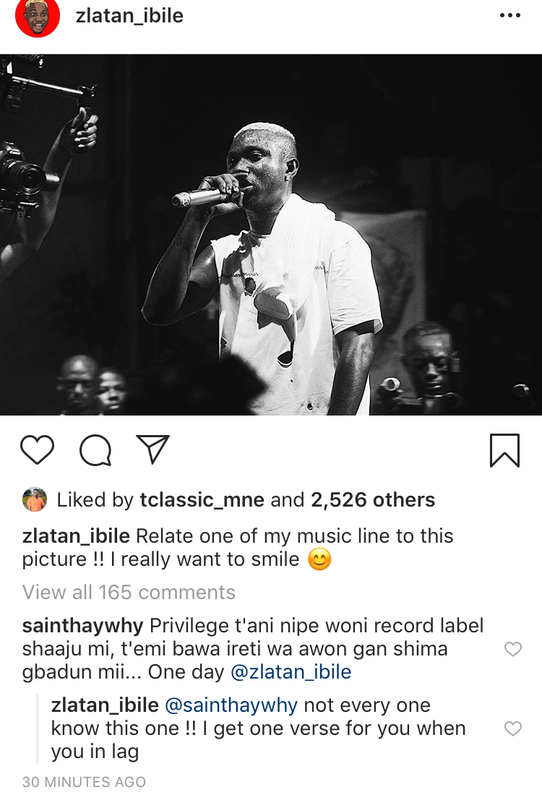 An Instagram user identified as @sainthaywhy pasted a line from his old songs while most of his fans were posting lines from his new songs. Obviously, Zlatan was amazed by @sainthaywhy and according to Zlatan, he said 'not everyone knows this one', he used the opportunity to promise him a collaboration when he comes to Lagos. It seems he be will making fans smile this year by his good deeds and songs.